Smart Growth Challenge: How can a transit-oriented development project accommodate the broadest range of interested parties with differing needs? In 2005, the city of New Brunswick was designated a Transit Village by the state Department of Transportation. This gave it priority access to state-level resources that would help it revitalize the area immediately around its train station, a historic building in an isolated spot in the midst of downtown traffic. 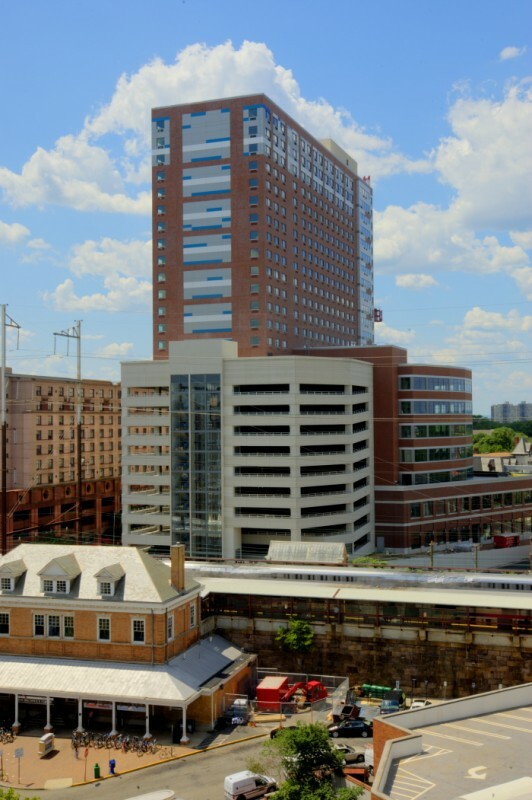 The New Brunswick Development Corporation (Devco) saw an opportunity as part of its larger urban core area revitalization plan to redevelop a prime but under-utilized parcel: the property on Easton Avenue adjacent to the train station. 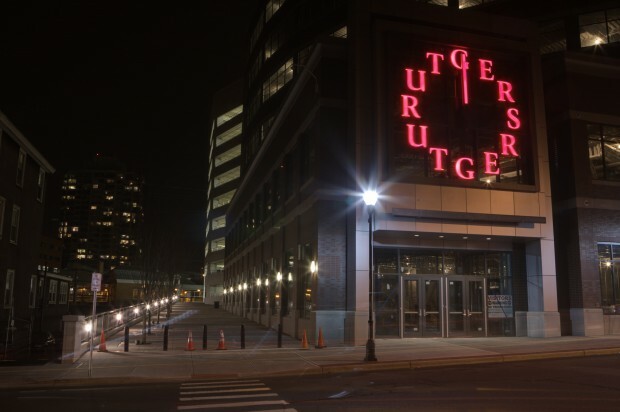 With the right plan, the capital needs of several organizations could be accommodated on the property: Rutgers needed a central location for a larger university bookstore; the city needed more downtown residential development and was anxious to take advantage of heightened demand for mixed uses near transit; and there was a growing demand for additional parking for both commuters and office workers. Through a creative partnership among Devco, the New Brunswick Parking Authority, Rutgers University, Pennrose Properties, AJD Construction and the New Jersey Economic Development Authority, the solution to all these needs was born: the Gateway Transit Village project. The promenade and Rutgers bookstore at Gateway Transit Village. Courtesy Devco. Gateway Transit Village with New Brunswick Station in the foreground. Photo: Devco. Gateway Transit Village. Photo: Devco. 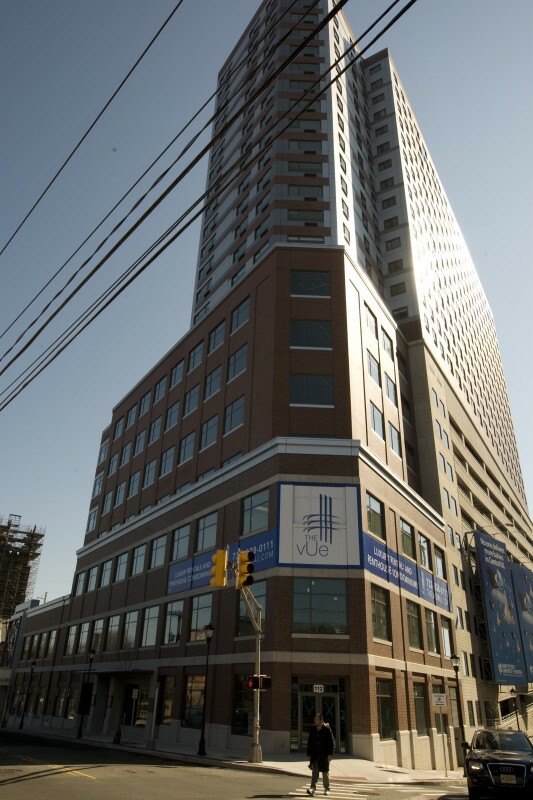 The finished building stands 24 stories tall, with retail, structured parking and class-A office space in the “podium,” which matches in scale the brick buildings on the opposite side of Somerset Street; and both rental and ownership residences in the tower. A park-like elevated promenade creates a direct connection between the main campus of Rutgers University on the Somerset Street side and the southbound train platform, and is spacious enough to serve as a public gathering-place. 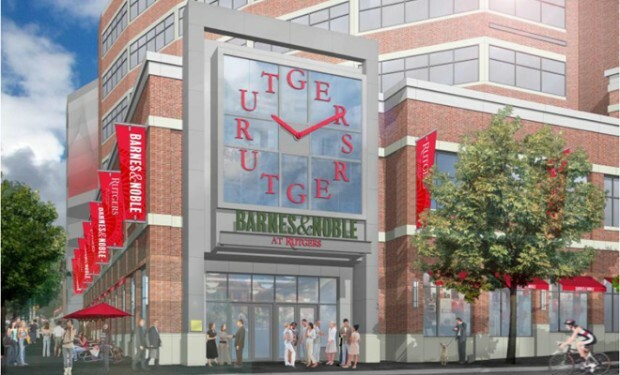 The project has brought online almost 700 additional parking spaces; 57,000 square feet of retail space including a destination restaurant and the new Rutgers bookstore, complete with an iconic clock face that serves as a focal point for campus students and visitors; 55,000 square feet of office space; and 150 rental and 42 condominium residences. Of the rental residences, 20 percent are set aside for moderate- and low-income residents. As ambitious as this project is, care was also taken to ensure it did not compromise the historic setting of adjacent St. Peter’s Roman Catholic Church or the original historic Old Queens campus of Rutgers. One of the most complex parts of the project is its financing: The $136 million investment is a combination of private equity, conventional financing, New Jersey’s Urban Transit Hub Tax Credit, federal New Market Tax Credits, a grant from the state Transportation Trust Fund and bond allocations through the American Recovery and Reinvestment Act. The Gateway is a notable success in an uncertain economy – expanding parking availability, drawing residents who work nearby or who will take advantage of transit availability, and offering retail that can serve both the university and the city. Such a project would not have been possible except through multi-lateral partnership, creative financing and the right public incentives.